A couple years ago, my son came home with a “C” in gym class on his report card. His response? “The gym teacher hates me.” I found this to be a big problem. First of all, there’s the issue of how does a boy get a “C” in gym? All you have to do is play games and not kill anyone, and you get an “A”. But, to me, more importantly, there was my son’s near-immediate reaction to blame someone else that was the real issue. 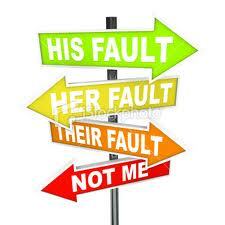 This ‘blame others’ mentality is by no means limited to High School students. 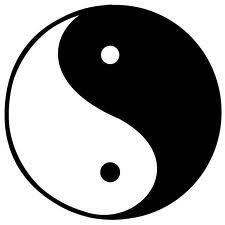 You see it everywhere, in business, politics, social circles. You have Republicans blaming the “liberal media” or “East coast elites” for media coverage they don’t like. Or you hear that “the establishment is against us” used by people, from OWS to Newt Gingrich, who are trying to get their message heard. And all the time, at work, you hear that “it was Chris that messed it up”, “Karen didn’t do her part”, or “Molly doesn’t care”. These are the reasons we got into this sticky-wicket. But this blame-first approach is not good, and it needs to stop. First of all, it allows people to avoid any personal responsibility or accountability. They are essentially saying that they were perfect and their behavior and actions were sound – but it’s someone else, who they cannot control, who was the issue. Thus, they acknowledge no personal involvement in the situation or its results. And the situation should be viewed as aberrant, an exception, and not worth dissecting, scrutinizing, or agonizing over. Blaming also oversimplifies the world and reduces others to being one-dimensional caricatures. That person is “bad”, the Client is “demanding”, the directions are “confusing”. The truth is, it’s exceedingly rare that anything is so cut-and-dried. There are likely lots of moving parts to any situation that contributed to a particular outcome, especially including one’s own actions. 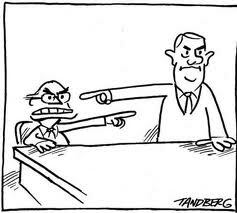 And, finally, blaming others often will remove any possibility of developing a suitable way forward, other than removing the person/people/thing that’s “at fault”. Otherwise, it’s likely viewed as impossible. Take responsibility. First, you need to own it. Say out loud that you are responsible. And then see your own role in the situation. What did I do that may have led to this? What can I do differently next time? Solve the situation before finding the causes of failure. Usually issues arise in the midst of work. Don’t take precious time to find out who may have set the situation in motion – first fix it. Seek first to understand, then to be understood. Let people explain what they did and what they meant by their actions. It’s important to hear all sides of an issue – for you, and also for the people involved. Plus, understanding why someone did something is as important (even more important) than knowing that they did it. Learn from mistakes. 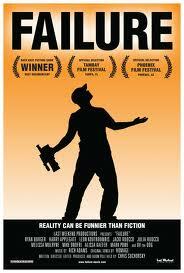 Make sure you don’t write-off these failures as simply someone’s errors. There is always lots to learn in order to do things better next time. Get to know people more than just a single adjective. By getting to know them better, you’re better able to understand, empathize with and collaborate with them in the future. 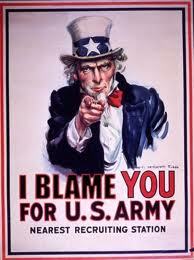 Are you still playing the Blame Game? What are your experiences? I think I have figured out a handle for how we’ve been operating in the new normal—the new, mixed-up, fragmented, always-on, consumer-controlled, track-able and optimizable marketing world we live in. But first, let me tell you how I came to it. I knew where she was coming from. I mean, there are Strategy Consultants, Chief Strategy Officers, Strategic Planners. You can’t say the same about “Chief Execution Officers.” To most people in our business, the strategy represents the brain work; execution, just the arms and legs. And if we quantified the amount of time and money (and salaries) most companies spend worrying about, debating, intellectualizing, and perfecting strategy vs. execution, it would likely be 100 to 1. Now, don’t get me wrong—I have high regard for strategic thinking and top-down planning, having spent many years on CPG assignments. 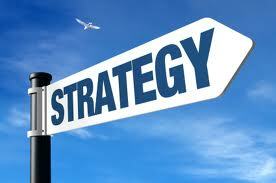 And strategies, and the insights behind them, are obviously critical to success. But in today’s marketing world, control over message, medium, and consumer are scant. 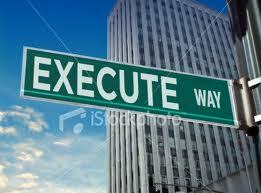 As uncertainty and lack of control rises, the importance of execution kicks in. Stratecution is insight-led, but execution driven, which is messier, more complex, and much more challenging. But it’s also more interesting and creative (not to mention more effective). Let’s face it—even the best strategy in the world is only a hypothesis. And too much time, money, and effort are wasted waxing poetic about it. In trying to bottle the strategy, frame it for the wall, to make it perfect and keep it sacrosanct for the entirety of your efforts. But like kaizen, which focuses on continuous improvement of all process and activities through real-world experience, what makes a brand’s activity worth romancing is its real-world activation, adaptation, and ongoing improvement. The real world is more complex and layered than any linear, single-page strategy can be—so stratecution needs to be more like a parfait. While you naturally will have a smart, single-minded strategy for your brand or product, you need to understand there may be several different targets, with several different messaging needs, at different points in the purchase funnel. Stratecution also favors reality over abstraction. Instead of thinking in terms of theoretical generalities, like broad target audiences, think in terms of specifics, like people and actual moments of engagement. Describing your target as “Women 35-49” or “QSR visitors” is not enough anymore. You need to think about people, their motivations, about what they are looking for at specific moments of engagement, and why or how you can be relevant. Need states may change depending on where the engagement happens, which will dramatically change your message. And you must always bear in mind that, in the real world, things change—the most brilliant plan ever developed still will not be “perfect.” When I look today at the actual Porsche Panamera launch plan vs. the neat and clean, theoretical, four-phase plan developed beforehand, it’s like looking at a Jackson Pollock vs. a color-by-numbers painting. But the actual plan reacted to real, in-market behaviors and results. Our projections for leads and their sources, for example, changed dramatically throughout the campaign—thus forcing evolutions and wholesale revisions to the plan. Activities led to re-activities, making the plan more complex, but also smarter and more effective. We attained our goal of 100,000 leads for the car—with a campaign that ultimately looked very little like the original plan. This brings me to the next point. We need to change our focus from attempting perfection up front to spending the time aiming for it in the real world, learning and getting feedback from real people along the way. The information and insight gleaned from launching is greater than the cost of finding a few bugs or needing to optimize your efforts early and often. The other thing to keep in mind is that the idea of a “launch” is completely archaic. First of all, the idea of launching a campaign as a finished product that won’t change is over. Launching is now continuous, “always on.” Secondly, in many categories, enthusiasts and insiders are often discussing and debating your launch long before you roll out a campaign. A launch doesn’t always start when you want it to, nor does it end because you placed a “final” paid ad, so it’s a good idea to consider getting out in the real world with something sooner rather than later. Stratecution also demands a bias for action. In today’s marketing world, you can’t sit back and expect to win with a single home run—you need to create and maximize as many opportunities you can. I love what Herb Kelleher said: “We have a ‘strategic’ plan. It’s called doing things.” In all of our programs, we are constantly on the lookout for ways to try new things, respond to activity, or take advantage of new opportunities. Stratecution requires a focus on learning vs. knowing—one needs to happily acknowledge his or her “stupidity,” approaching all efforts as ways to gain additional knowledge and improve. Thus, measurement is critical, and mistakes are a natural part of the process. In the words of David Kelley, “Fail faster. Succeed sooner.” While few clients (or agencies) would want to admit it, you can bet some of the most effective campaigns out there used early learnings—and even their failures—to vastly improve performance. What we’ve found is that our ongoing efforts to optimize our programs, re-calibrate our efforts, and improve every step of the way pays off. Routinely, we find ourselves driving leads, driving down costs-per-action, improving ROI, driving traffic, and achieving goals. Stratecution works. So, my response to that Account Supervisor? That’s your preference. But I prefer stratecution—part art, part science, and healthy doses of both insight and flexibility—the approach that offers agencies and clients unprecedented possibilities for and control over their marketing programs, not to mention better results. We’ve all started new jobs, been transferred to new departments, moved on to new teams. The mixture of feelings can go from overwhelmed, to exhilarated, to everything in between. But, above all else, is that “new job feeling.” Everything feels new, a little weird, and a bit difficult to understand. We all know that feeling doesn’t last. However, there are a lot of benefits from learning from it – and trying to hold on to some of your early behaviors for the long haul. From the first, it can feel like you’re drinking from the proverbial firehose. There’s so much to read, know, and learn. There are benefits, processes, office layouts. New bosses, management structures, politics. There’s business info, industry news, new Clients. It makes sense for you to read, distill, and seek understanding, before you begin to jump to conclusions. Before you start to act and react. This can be instructive for day one and day one-thousand. Once we’ve been in a job for a while, we begin to “know” a lot. We develop assumptions that can help us quickly understand and assess situations. But these assumptions also may cause us to react overly quickly to situations without fully understanding them first. Or to treat them as analogous to past situations, instead of fully understanding the contextual differences. So, the way you act on day one can be helpful – don’t react. First, seek understanding. When you start a new job, you don’t know anyone. You have no preconceptions or assumptions about people. Everyone is someone who can help you. Everyone knows more than you do. So you can learn from everyone. Now think about the way you approach people when you’ve been in your job for a long time. There a people you avoid, people you groan when you have to deal with, people you cut off in mid-sentence because you don’t expect them to add value. Think about how it might be if, instead, you treated people as you did on day one – that you can get help and value from everyone. This might be a game-changer. Give it a shot. I’ve long said that the way to behave at the beginning of a new job is to pass and play defense, first. What do I mean by that? Well, first of all, don’t look to score points. You’re not expected to – nor should you want to, yet. Start with the fundamentals. Listen, be respectful, be smart, ask a lot of questions. And defer to the current starting team. But also think about what passing and playing defense does. It makes everyone else better. It’s not about you or your statistics. It’s about helping everyone else win. That should be your goal on day one. 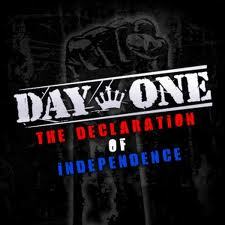 And day one-thousand. Like I said, the beginning of a new job can be overwhelming. There’s so much new, so much unknown, you can get a little goggle-eyed. This feels like a handicap that you can’t wait to unload. However, there’s something about this overwhelmed feeling that isn’t bad – it prevents jaded-ness. You can’t be blasé, bored or ho-hum. And that can be a good thing. So often, once we’ve done a job for a while, we can let ourselves get complacent and matter-of-fact. So I think staying wide-eyed actually might be a good thing. I’ve talked a number of times of the importance of learning from one’s experiences – of always measuring, optimizing and taking those learnings to future endeavors. But it’s also important to “unlearn” – that is to say that, often, forgetting as important as its opposite. What do I mean, “forgetting”? Obviously I don’t mean not remembering to do things, missing a deadline, or anything like that. Remembering important details is a critical aspect of flawless execution. But sometimes our experience leads us to remember things and know them as true. 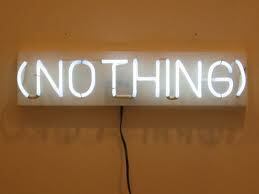 Things that can impede us in future efforts. So we need to be willing to unlearn them, and forget them – at least for the time being. That doesn’t mean tossing out all your accumulated experiences and learning – it means being open to challenge them. One of the most important aspects of marketing is to measure your efforts, and try to learn from each of them. To take learnings from past efforts and apply them to the future. Having said that, it’s also important not to assume that contexts, factors and dynamics of past and current efforts are the same. Or that past results should be inferred to current situations. So, just because things worked out poorly last time doesn’t mean that the tactic used before is a failure. Try to forget that, say, “in-banner lead generation” didn’t work last time, so it won’t work this time. Instead, use your learning to adapt how you do it. Every company, office, group, and team has policies and procedures. And well they should – you need systems and standards of practices. Those practices are in place to help back-end execution, ensure overall compliance to legal and financial policies, and, hopefully, as a way to best foster and enable excellence. This is not an easy one to forget, especially for me (as you can tell from my earlier post, there are definitely things that I hate…). But you should not simply write things off because you hate them. And, frankly, just because you hate it, doesn’t mean whatever it is might not be right for a certain situation. At least try to be open to something for it’s potential applicability to a problem you are trying to solve. Saying you hate something also allows you to avoid it, never providing further opportunity for you to gain experience from it in the future. Saying, for example, that you hate electronic music would prevent you from discovering new examples of it, like SBTRKT, who are taking Electronica to a new place and new level. So it’s important to try to “forget” or unlearn your hate – at least to see if you still don’t like something. And why. Similar to the above, it’s natural to develop an opinion about someone based on your experiences. But it’s dangerous, and unfair, to allow your learned dislike for someone to prevent you from learning new opinions and ideas about them. So try to forget your dislike, for several reasons. First of all, people are complex. Your dislike might be only due to one aspect of someone’s personality. Give yourself a chance to experience other sides of someone. Secondly, it’s not critical that you always like someone in order to work with them. Someone you dislike can still contribute enormously on your projects and your team. So try to forget your personal opinion and respect people for their capabilities and contributions. Life will definitely, over time, teach you what you are innately good at and what you intrinsically like. Conversely, you will no doubt develop a list of things you find you are “not good at”. Pay attention to these – and you’ll notice that you avoid them like the plague. At a minimum, reflect on those opportunities in the future. Instead of writing them off before you even try them again, consider gaining new experience at them. You may find that you’re not as bad as you thought. Or, even better, you may find it’s worth an investment in your time to get better at them. As learning creatures, it’s often helpful to take learning you develop from one endeavor and apply it to a seemingly analogous one. For example, if I have developed a brand microsite before, then I will know how to develop one that involves User Generated content. Or if I play tennis, I know how to play Platform Tennis. And there is some truth to it. But blindly accepting your knowledge gained from one task can be a real impediment to growth, progress and mastery of the new task. Do your best to unlearn your prior knowledge, in order to pick up the new skills necessary for the new task. Don’t simply repeat old behaviors. 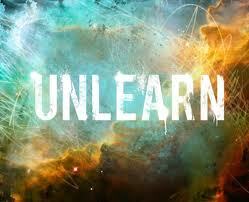 So keep the concept of “unlearning” in mind often, especially when you hear one of the above phrases. 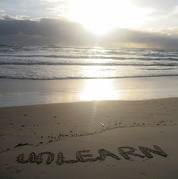 Unlearning will keep you open to new skills, experiences, behaviors, and knowledge. And the idea that you might develop a list of things you used to know but don’t believe any more is, at least to me, pretty exciting. 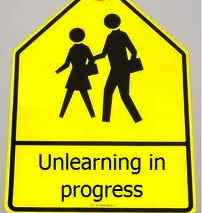 Do you have some unlearning to do? What do you think? For some reason, “curiosity” has developed a bad name. To call something curious is to call it an oddity. It’s something peculiar, that can’t, or shouldn’t be, explained. Curiosity kills cats, for god sakes! But, in actuality, curiosity is a very good thing. It’s the special sauce that sparks innovation and turns good into great. It drives learning, creativity and a full life. It’s anything but a killer. A child is naturally curious. Who hasn’t been with a 3-year old who says “why?” every 2 seconds? Or who opens and closes the car window, on-and-off, endlessly, for an entire hour-long drive? Sure, it’s annoying, but it’s how they learn about the world. But for some reason, the world trains us to stop asking “why?”. Well, as Einstein said, you should “never lose a holy curiosity”. Here’s why you should never stop being curious. Curious people don’t take things as a given. And neither should you. If you accepted everything people said without digging deeper, you’d never find the truth or uncover any insights. And just because something seems obvious doesn’t mean it’s true. So, never take a brief that’s handed to you for granted. Ask “why?” like a 3-year-old. You’ll be amazed at what you’ll find. 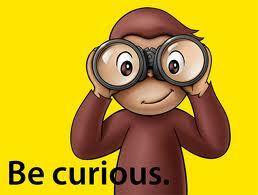 Being curious causes exploration and learning. You will be continuously steering yourself into unknown and uncharted waters, providing yourself new experiences and discoveries – resulting in a ton more knowledge. Think of yourself as a modern-day Magellan – and constantly be seeking new worlds and new experiences. And, once in a while, you’ll find some. Being curious, you’ll be open to new ideas, new thoughts, new experiences. 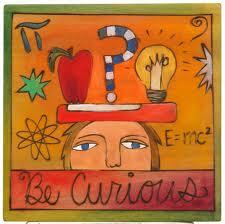 In fact, when you’re curious about something, your mind actually expects new ideas to come from it. This open-ness to the “new” is critical in order to uncover it, recognize it, and take advantage of it. 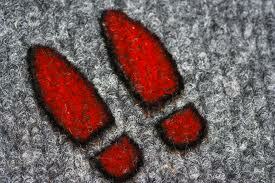 Which is much better than not being prepared for it and letting it slip by, unnoticed. Curious peoples’ minds are always active. They are constantly thinking, asking questions, and digging deeper. Scientists say the mind is like a muscle – thus, it must be made stronger through this continual mental exercise of curiosity. So, as I’ve stated in prior posts, ask a lot questions. Wonder “what if?”. And remain restlessly, steadfastly curious. 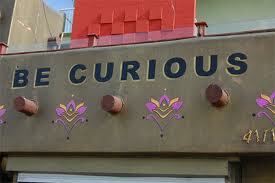 One final note – some organizations have a culture that is adverse to curiosity. There’s a culture of fear, disapproval and a power of “knowing” that puts curiosity on the run. Do your best to maintain your curiosity, even in these situations. Or, better yet, make your way to the exits as fast as you can! A lot of management consultants and modern business gurus promise strategies and formulas for success in today’s business. All you need to do is put the pieces in place, and start the right processes, and things will work like a well-oiled machine. Or, all you need is the data, and the best decisions are almost made themselves. The people of an organization, thus, aren’t the key part; the over-arching strategy, process, technology and information are. People are inter-changeable. But that’s not even close to the truth. No matter how good these strategic aspects of your business are, it’s your people, and they way the work together, that make the difference. Which means that, as a leader, your number one job has to be making those people better. So, if that’s the case, wouldn’t it make sense then that you should spend time with them, talking with them, on their turf and on their terms? I think so. 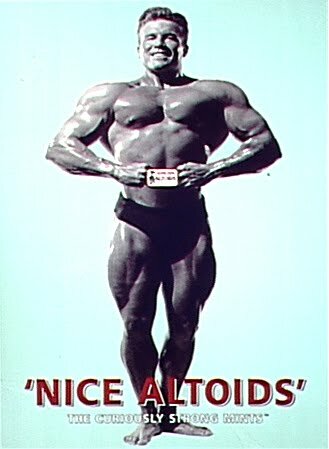 And so does my favorite management guru, Tom Peters. He uses the phrase “managing by wandering around”, saying it’s one of the most important drivers of excellence in an organization. Peters got the concept from Hewlett-Packard, who described the technique as “marked by personal involvement, good listening skills and the recognition that everyone in an organization wants to do a good job.” It’s also related to the Japanese idea of the Gemba walk, which means “go and see for yourself”. 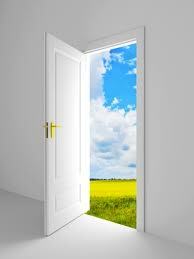 A lot of leaders talk about having an “open door” policy – as if it’s some evolved habit that invites the rest of the team and organization into your office and your world. But that’s not nearly enough – in fact, expecting others to come to you is probably a retrograde concept that reinforces a leader’s distance and isolation from his team. Instead, get out there and walk the halls. It does so many good things. First, you do a much better job of staying in direct, intimate touch with your team and the organization. You feel the pulse and see your team in their environment, you have more casual interactions, you hear conversations you might not see otherwise. You’ll get to hear their issues, answer questions, and just talk. And maybe catch some small problems before they become big ones. 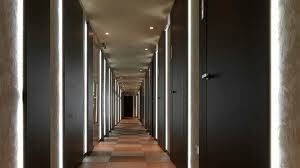 It demonstrates your willingness to go to others’ offices and spaces, instead of having them come to you. This shows respect and appreciation. It fosters a positive perception of you, by allowing you to be seen out from behind your desk, making you seem more available and approachable. The haphazard, “drive-by” conversations you have along the way, with your team members as well as those not on your team, can be incredibly productive, as well. And don’t think that the office is the only place to “wander around”. Live this approach in your day-to-day life, too. Wandering around can open you up to the world around you and let you see things differently. Email is a major part of our lives and our businesses. And it’s, in general, a great productivity driver. However, we all get caught up in it more than we should – and we need to get back to having conversations. First of all, email sometimes actually creates issues and conflict, due to it’s lacks of tone, shades of gray and humanity. People read into things, perceive confrontation and controversy, and overreact. And reply, and reply, and reply – email often draws out and prolongs issues beyond helpfulness. We need the dynamics of one-to-one conversations. And, while email is very effective in quickly dealing with black and white issues and situations, it’s quite rare that issues are so black and white that they can be solved in writing. Take a walk and discuss it in person! And finally, email causes an incredible reactive-ness. Someone writes something, asks a questions, poses a problem – and we need to REACT immediately. The problem is, we are pausing to think less and less, and we’re not giving ourselves time to consider the bigger picture. The truth is, it’s ok to delay responding for a few minutes, in order to reflect and think… and it’s even better to follow up with a conversation. One other thing we need to do is to make time for uninterrupted conversations. We are all now texting, checking emails, or fact-checking during meetings and discussions. Shouldn’t we allow ourselves some uninterrupted time? Put down the cell phones, iMacs and iPads, and just listen and talk. What do you think? Do you agree with MBWA? What are some of your examples? I’d love to hear them. Check out my newest article in TalentZoo on the need for and benefits of having a Brand Purpose. It’s called “Purpose Marketing for Today’s New Normal”. Would love to hear your examples, comments and rants below – please share! 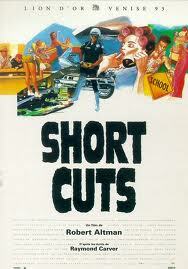 We all know lots of short cuts. We often seek them to get us to our goals faster, with less effort or expense. Often, they’re helpful, good things. On computers, these things can save time and energy. “Command+N” opens a new Safari tab on a Mac. 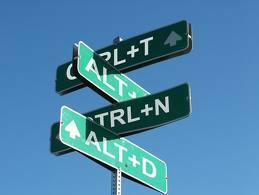 Use “Control+C” instead of “copy” in Windows. And we all love short-cuts when we’re driving. These are paths that, almost magically, are shorter than the path normally taken, by avoiding traffic, taking a back-route, or finding the most direct path without delays. But in business, there really are no short cuts. You just have to do the work. Period. In fact, when we try to cut corners or take a short cut, we often get burned – and end up needing more time, effort and energy to correct our mistakes and achieve our goals. There are times, when things are going smoothly and easily, that it’s ok to take things a little bit easy. To coast a bit. But there’s a big difference between taking it easy and taking the easy way out. This is especially true in digital/on the web, where things are complex, and you rarely find yourself coasting down-hill. You simply can’t skip steps. 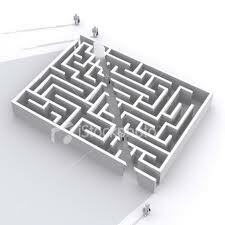 Because the short cut you take may seem small, but end up meaning the difference between success and failure. Things like spending the right amount of time developing, implementing and testing your tagging strategy for your site and display ads, for example. Or developing and optimizing your landing page strategy. Skipping these steps will, indeed, shorten your upfront work – but will undoubtedly increase your back-end efforts, as well. Because they will likely lead to an under-performing program that requires major triage and optimization. Sometimes we think we can get away with cutting a few corners, jumping ahead, getting from A to Z without going through the rest of the alphabet. This never works, in life or in business. Just like when a baseball player misses a base in order to speed up his path home, you’re likely to end up getting called “out”. For example, there are search marketing and SEO tricks that might temporarily move you up in the search rankings. But they could also get you penalized, or even dropped from the search engine. It’s not worth it. And how many companies have tried to sneak and cheat their way to social media success. By writing their own faux-consumer-generated blogs. By faking comments. By sticking themselves into the social conversation without actually achieving it. These efforts are nearly always called out. This old saying remains as true as ever – if something does sound too good to be true, it likely is. Like if someone tells you that they can create something “viral”– simply by making a video for your brand. As if that’s all it took! While there are a lot of intangibles in actually creating a “viral” hit, it certainly takes more than just calling it “viral” and putting it out there. If that’s all it took, there would be a lot more successes. Short cuts sound appealing – i.e., “take me to the same place I’m going, but with less work.” But I’m here to tell you, they don’t work. And, believe it or not, they can end up taking even more time and work. The shortest cut? Just do the work. What do you think? What are some examples you’ve seen of corner cutting and short cuts? By definition, failure is the opposite of success. And by that measure, it’s a condition that is definitely desirable to avoid. In fact, the term “fail” and “epic fail” have become Internet memes that represent the worst possible situations and outcomes you can imagine. However, as counterintuitive as it may seem, more learning and good can come from failure and mistakes than from successes. And the fear that comes from desperately trying to avoid mistakes will do more to prevent success than anything. Here are five reasons that failure and mistakes are good. First of all, you can only fail if you try to do something – which is a plus, to begin with. And, creativity entails doing something not been done before – which is by definition difficult. There are no instruction manuals, no fool-proof plans. Thus, doing creative or innovative work will likely lead to some failures and mistakes. Ipso facto. Never making mistakes is a sure sign you are not trying new things, pushing yourself and your team, being creative. If you’re not failing, you’re simply not trying hard enough. 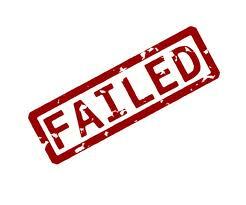 To say you failed means you are likely measuring your results in some way, which is also good. Too often “success” is measured by some vague “we did it and it worked” statement. But failure should be measured in detail. Again, this is good – it means you had specific objectives, and put in place analytics in order to see if you achieved them. Thus, you are approaching your efforts like a scientist – testing, experimenting, reading results, and learning. And now, you can assess what went wrong and why. You had the self-awareness and presence of mind to call it a failure. Too often people will hedge and say a failure was “a qualified success”. Or “things went ok”, or “there may have been some problems…” But this type of hedging avoids the point – we did not achieve the success we set out to. By calling a spade a spade, it means you have faced the fact that you did not deliver, you have forgiven yourself, and are prepared to move on. The key is that you don’t brush it under the rug. The only way to get anything out of it is by addressing it head-on. You forced yourself to look back and determine what went wrong and why. This means you’ve moved beyond everyone’s first instinct, which is to blame. And it means you’re open to learning, a wonderful thing. This learning might challenge your assumptions, your in-going hypotheses, your beliefs. And it will likely provide some good direction for next time. Learning the what’s and the why’s of failure is the biggest benefit. You formulate your plans for “next time”. “Next time” might be immediate implementation to address early results. Or it might be the next phase of the assignment/project. Or it might simply be “the next time we do something like this”. In any case, be prepared with your new learning in order to “fail forward” next time. As you can imagine, failure is a great teacher and mentor. Jeff Stibel, Chairman and CEO of Dun & Bradstreet, says he’ll only hire people who fail. He says, “We don’t just encourage risk taking at our offices: we demand failure. If you’re not failing every now and then, you’re probably not advancing.” And going even further, Paul Schoemaker suggests that, at times, you should even deliberately try to make mistakes in order to challenge conventional wisdom. I know I’ve failed a lot and made lots of mistakes. Small, medium and large. But the one thing that I share with Steve Jobs and Winston Churchill (probably the only thing) is that I won’t ever lose enthusiasm for trying. And I also know that trying too hard to avoid making mistakes is the greatest mistake of all. What mistakes have you made? How have you learned from your failures? Stratecution is all about a bias for action and a drive towards doing things (just peek at the sub-head of my blog and note Herb Kelleher’s quote about “doing things”). There’s a demand to try things, beta-test, learn as you go. Make more stuff, and gain from your mistakes. And there’s a reaction against over-thinking, over-perfecting, and waiting and debating. However, sometimes the best action you can take is doing nothing. That’s right, I said doing nothing. Because actively doing nothing is, every now and then, the best thing you can do. There are three ways doing nothing is important. The world, our lives and our jobs have become 24/7. Technology has created more and more ways to communicate and connect, more data, and more information; but also more interruption, more distraction, more attention-deficit. Between “breaking news”, status updates, text messages and work email, we never stop. But the more reactive we have become to the moment, the less time we spend on thinking about the larger context. An article in Sunday’s New York Times, called “The Joy of Quiet,” discussed this topic. We all need to find time to unplug. What’s worse, it appears our brains are beginning to adapt to this always-on, non-linear, sound bite driven, click-crazy reality. A college freshman said, about YouTube, “you can get a whole story in six minutes. A book takes so long. I prefer the immediate gratification.” Our brains are being rewarded for jumping around, reacting to interruptions and not staying on task. The worry is that the next generation will actually be wired differently, due to the constant screen time and distractions. I find that my best thinking comes when I’m off-the-grid for a bit. Most of my blog ideas come when I’m walking the dog, taking a shower, working out. I get brainstorms in the middle of the night. And this behavior has been proven – a series of tests showed that spending time in a quiet rural setting increased attentiveness, memory and cognition. Unplugging is something that’s hard to do at work. Most of us have a need for constant communication and real-time responsiveness. However, nearly all emails can wait an hour or so to respond to. And if there’s a true emergency, someone will find you. So if you need some time to think, reflect, or develop a big idea, consider disconnecting email and text messaging for a while. Your thinking will improve. 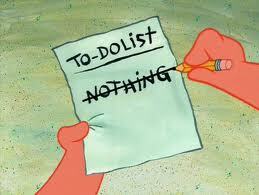 Even during productive work, it’s important to “do nothing” for a bit. As I mentioned in my previous post, stopping work and taking a break helps to keep you fresh and operating at 100% of your capacity. Conversely, it’s been proven that employees who work non-stop tend to be inefficient and hit the “diminishing returns” syndrome. It’s almost a rule that the folks who work the latest in every office aren’t the hardest workers, they’re the least efficient. Taking breaks to refresh helps avoid the burnout that leads to inefficiency. In addition, a break will help you return to work with a fresher perspective. Like the “cold light of day” in the saying, your post-break, mental freshness will lead to good questions, builds or connections that help improve the project you’re working on. This means that doing nothing, other than asking questions and passively seeking to understand, is more important than doing something. There will be time to act afterwards, once you’ve had time to understand and think. 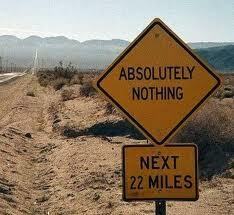 So there you have it – three times and reasons that doing nothing trumps doing something. What are your examples and thoughts?